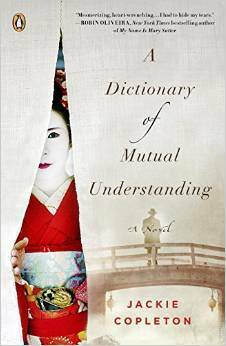 My Review of "A Dictionary of Mutual Understanding"
This novel opens with a badly scarred man knocking on the door of 80 year old, widowed, Amaterasu Takahashi's front door claiming to be her grandson, who she knows died when the atomic bomb dropped on Nagaski. Is it a miracle or a cruel trick? The visit from this stranger forces her to revisit her past. Can she let go of the haunting secrets which consume her every waking moment and move forward to create a new future? Hideo Watanabe was killed by the atomic bomb when he was 7 years old and Amaterasu chooses to remember him as a young school boy in his uniform, on their final walk to school. "This man was an aberration," she states firmly. "I had mourned Hideo for too many years to believe him resurrected." She sends the man away, dismissive of his claims. Left alone, her mind returns to thoughts of her daughter and she asks "Dear Daughter, the life I sought of you was not a bad one was it? Did you forgive me in those final moments?" Through these searching questions and Ama's obvious unease of the visitor's surprise appearance and declaration, Copleton implies that there is something more complex at play and suggests some mystery and intrigue about the truth surrounding Hideo's death and her relationship with her daughter. Amaterasu's ability to hide from the truth and edit the version of her past becomes clearer as she recollects how her and her husband coped with the loss of Hideo and his mother, their daughter, Yuko. "I wanted to believe she was at peace when the clouds parted over Nagaski and the B-29 dropped its load.....we were adamant that she felt nothing...this gave us solace....she had not suffered on August 9th, 1945 at 11.02am." The fact that over 40 years on the date is so precisely recalled shows the depth of their grief. The theme of war and it's life lasting effects on people is one that echoes throughout the whole novel, as does the portrayal of the Japanese people's inability to ever fully come to terms with what happened and how they are haunted by "not how they died, but why?" The only way to endure their lives after 1945 is through lies and omissions until their memories become a completely intertwined fuse of fact and fiction. Amaterasu's fear is this man, claiming to be her grandson, will want the truth. But to "look back would bring neither forgiveness nor release." For me, Copleton created such a compelling character in this old woman. One fraught with dilemma and pain. One whose past I was desperate to hear more about and discover her deeper secrets buried in amongst these false memories. The man has left her a letter which explains Hideo was rescued from the rubble of his school building and taken away for treatment. He was unidentifiable after the attack and sent to an orphanage from where he was adopted. He was adopted by Natsu and Jomei Sato - Nastu is the author of the explanatory letter. Intriguingly, Amaterasu appears to know this couple and the words "Why wait to take revenge?" immediately heighten our curiosity and create suspense and tension. Again her repeated plea that "no punishment could match all the years lived since that summer, that morning, that minute" further reinforce that something else clearly happened - is the bomb the only thing that killed her daughter or did something else happen? Why is Ama so completely consumed with grief and regret? Why has she spent the last 40 years punishing herself? The narrative continues by revisiting August 9th 1945 and the "Pikadon" (Pika = bright light, don= boom). The writing is poetic and beautifully lyrical. At the moment of devastation, Amaterasu has gone into a shop - which saves her life. Amidst the confusion about what has happened it is still clear that something immense has happened - "close enough to know what the end of existence sounds like......it felt as if the world's heart had exploded." I found the lines "may they never find the language for such an agony of noise.....the silence that followed...." incredibly moving. The next section of the book is hard to read but equally a wonderful example of evocative descriptive writing. I've refrained from quoting as it is upsetting and disturbing reading despite it's power. One line I did find particularly effective was when she visits Yuko's house to retrieve some personal belongings and says "how quickly a home can become a mausoleum". So poignant. What really struck me was the sadness about how pointless they felt the deaths from the bomb had been. Although it hurries the surrender of Japan, there is a strong sense that it was not because of the horrific repercussions of the bomb but because America wanted to teach the world a lesson. No one cares about the personal loss of Yuko and Hideo. This causes further agony for Ama. They leave Japan for America in a bid to escape their pain. Amaterasu pulls out her daughter's old diaries which she has not ever read. With the arrival of Hideo, she decides it is time to read them and extracts are then incorporated within Amaterasu's narrative. We move away from the shocking aftermath of the bombing and instead focus on the love story of Yuko and her transition into adulthood and marriage. Yuko found first love with Jomei Sato. She is besotted, utterly in love. Amaterasu's disapproval is more than a mother's concern for the fragility and vulnerability of her daughter's heart. Frequent interjections about "duty as a mother", her need to "save" Yuko from this man, to wipe him out, to remove him from her daughter's life without her ever finding out why really intensify the tension and also add a more complex, more devious and dishonest side to Amaterasu's seemingly quiet and tender character. She has to divulge more and more of her back story in order for us to gain a full picture of why she was so against this match. It's for you to read these passages and experience the love story first hand without any further spoilers and again, I'd love to get carried away with the mesmerising imagery and symbolism used to illustrate the story but don't want to give anything away. This is a poetic, elegant, poignant and tragic love story which explores themes of parenthood, choices, betrayal, secrets, forgiveness, redemption and family. It could be an overwhelming read because of the historical context but actually most of the novel is caught up with Amaterasu's emotional journey and attempts to reconcile herself with the past. There is more writing about love than death. It is somber and it does show the consequences and repercussions of the atrocities of war but it also focuses on the pain that can be caused by parenting and love. I really liked the use of Japanese definitions at the start of each chapter. These subtly added meaning to the chapters as well as placing the reader within the Japanese culture. They were really interesting. My favourite was "Ai-ai-gasa". In feudal times, men and women were not allowed to be intimate in public or hold hands so in wet weather they would share an umbrella instead. Therefore, if a man offers you to share his umbrella, it is an expression of their love! I also like "Ninjo" - love, affection and compassion are the most important feelings to nurture. I hadn't heard anything about this book - I took it on a whim, perhaps having just read several of Dinah Jefferies' novels which are set in the East and a fond recalling of "Memoirs of a Geisha" . I was really pleased that I had read it. 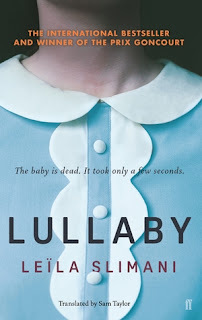 I was very impressed with the cadence and nuances in the writing and the author's sensitive and lyrical evocation of character's, themes and locations. I will be looking out for this author and I will be awarding it 4/5 stars. Thank you to NetGalley for a copy of this book in return for a fair and honest review. For further recommendations, reviews and bookish chat, please follow me on Twitter @katherinesund3 (bibliomaniacUK) or sign up for email notifications of future posts.